Note: This is one in a series of posts featuring case studies from our clients. To download the full pdf, click here. Founded in 1976, Virginia Eye Institute is one of the largest ophthalmology practices in Virginia. With 27 ophtalmologists and eight optometrists, Virginia Eye Institute provides a full-range of eye care expertise in eight locations throughout Virginia. With so many specialties and locations, the staff needed an easy way to manage their patient communication. Virginia Eye Institute choose Solutionreach help them with this. As the director of marketing for Virginia Eye Institute, one of Margaret Benson’s responsibilities was to oversee the vendors the practice uses. Managing different vendors for appointment reminders, recare tasks, and scheduling appointments took a lot of time, and Benson wanted a solution that was more efficient. The problem Margaret came across was that many products weren’t HIPAA complaint. With Solutionreach, Margaret was able to automate a lot of the tasks she had been paying vendors to do, like recare phone calls. 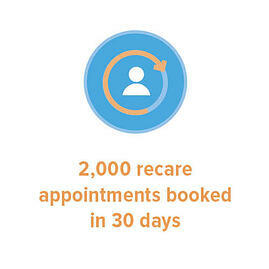 In the first 30 days, 2,000 recare appointments were booked thanks to the automation. This number would have taken the previous vendor six to eight months to achieve. 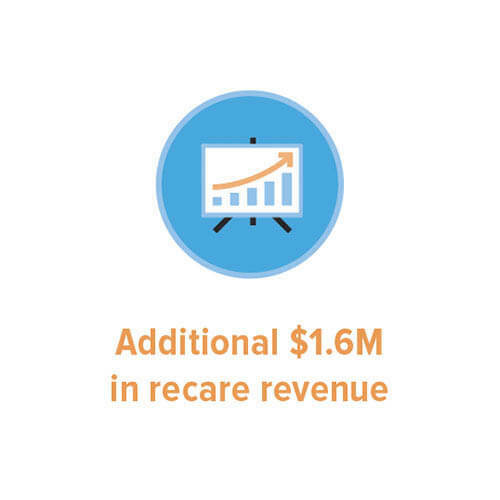 It gets even better, with a year of automated recall messages, Virginia Eye Institute saw an additional $1.6 million in revenue for the practice. And it doesn’t seem to be slowing down! Virginia Eye Institute has seen a huge drop in no-show appointments since they started taking advantage of automated appointment reminders. They had been using a call center to manually call each patient two days before their appointment reminding them of the time and place. The automated reminders not only replace these phone calls, but they also track appointment confirmations. 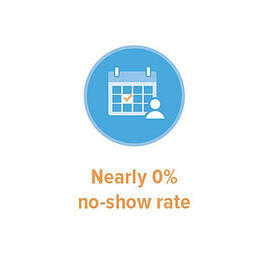 The practice’s online reviews have dramatically increased as well. Margaret chose settings in Solutionreach so each patient receives a survey within 24 hours after their appointment. A lot of the patients leave positive reviews, which are then linked to Virginia Eye Institute’s Facebook page and website, so potential patients can read about how great the practice is. Solutionreach has made Margaret’s job so much easier. The number of missed appointments is at an all-time low, and the online reviews are bringing in new patients. “I love Solutionreach because it can do so many things, all in one place,” Margaret says. “It can do marketing, it can do call center things, it can do optical things, Google maps, Uber, Healthgrades, it can do everything. It’s all HIPAA compliant, and that’s the most important thing. It’s the one-stop shop for everything that everybody needs in your organization." 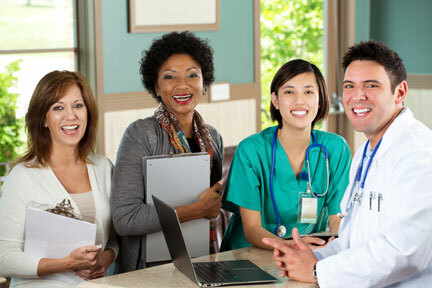 Learn more by downloading the 12 Must Have Features in Patient Relationship Management today.  Alyessa D’Ewart is a content writer at Solutionreach. 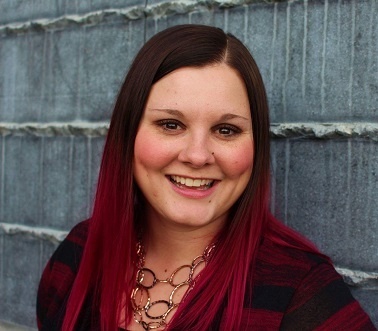 She holds a master’s degree in professional communication from Weber State University. Alyessa has spent the last three years cultivating her technical writing skills by creating content for a variety of platforms including marketing collateral, website pages, and corporate blogs. As an avid fan of the written word, she can usually be found curled up with a good book.